Versatile and durable, our Cup Lock Scaffolding Systems are built to efficiently assist with construction and various support structures. 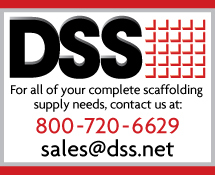 We offer complete scaffolding systems geared towards the commercial and industrial scaffold needs. 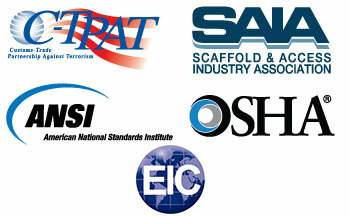 In addition to complete scaffold systems, we also offer accessory parts that are compatible with most manufacturers. From clamps and adapters, to trusses, vertical and horizontal standards, our multipurpose scaffolding systems are durable and easy to maintain and provide quick and easy access for construction and repair projects. DSS Cup Lock Verticals are manufactured under the guidance of our Exhaustive QA/QC program and ISO accreditations. Every single Vertical manufactured is proof tested in the factory to ensure the highest possible standard of quality is provided to our clients. Our Cup Lock Verticals are fully compatible with other leading cup lock systems around the world. DSS Cup Lock Horizontals are manufactured under the guidance of our Exhaustive QA/QC program and ISO accreditations. Every single Horizontal manufactured is proof tested in the factory to ensure the highest possible standard of quality is provided to our clients. Our Cup Lock Horizontals are fully compatible with other leading cup lock systems around the world. DSS Cup Lock Trusses are manufactured under the guidance of our Exhaustive QA/QC program and ISO accreditations. Every single Truss manufactured is proof tested in the factory to ensure the highest possible standard of quality is provided to our clients. Our Cup Lock Trusses are fully compatible with other leading cup lock systems around the world. DSS Cup Lock Clamp Braces are manufactured under the guidance of our Exhaustive QA/QC program and ISO accreditations. Every Clamp Brace manufactured is proof tested in the factory to ensure the highest possible standard of quality is provided to our clients. Our Cup Lock Clamp Braces are fully compatible with other leading cup lock systems around the world. DSS Cup Lock Board Bracket are manufactured under the guidance of our Exhaustive QA/QC program and ISO accreditation. Every single Board Bracket manufactured is proof tested in the factory to ensure the highest possible standard of quality is provided to our clients. Our Cup Lock Board Bracket are fully compatible with other leading cup lock systems around the world. DSS Cup Lock Deck Adapters are manufactured under the guidance of our Exhaustive QA/QC program and ISO accreditation. Every single Deck Adapter manufactured is proof tested in the factory to ensure the highest possible standard of quality is provided to our clients. Our Cup Lock Deck Adapters are fully compatible with other leading cup lock systems around the world. DSS Cup Lock Guardrail Posts are manufactured under the guidance of our Exhaustive QA/QC program and ISO accreditation. Every single Guardrail Post manufactured is proof tested in the factory to ensure the highest possible standard of quality is provided to our clients. Our Cup Lock Guardrail Posts are fully compatible with other leading cup lock systems around the world. DSS Cup Lock Aluminum Stair Stringers are manufactured under the guidance of our Exhaustive QA/QC program and ISO accreditation. Every single Aluminum Stair Stringer manufactured is proof tested in the factory to ensure the highest possible standard of quality is provided to our clients. Our Cup Lock Aluminum Stair Stringers are fully compatible with other leading cup lock systems around the world. DSS Cup Lock Stair Treads are manufactured under the guidance of our Exhaustive QA/QC program and ISO accreditation. Every single Stair Tread manufactured is proof tested in the factory to ensure the highest possible standard of quality is provided to our clients. Our Cup Lock Stair Treads are fully compatible with other leading cup lock systems around the world. DSS Cup Lock Intermediate Transom are manufactured under the guidance of our Exhaustive QA/QC program and ISO accreditation. Every single Intermediate Transom manufactured is proof tested in the factory to ensure the highest possible standard of quality is provided to our clients. Our Cup Lock Intermediate Transom are fully compatible with other leading cup lock systems around the world.